Now Codes are highly optimized and reduced the size to 67 KB from 192 KB. Removed the Run as admin cmd in script because of possible av detection.Now script ask users to run manually as admin. 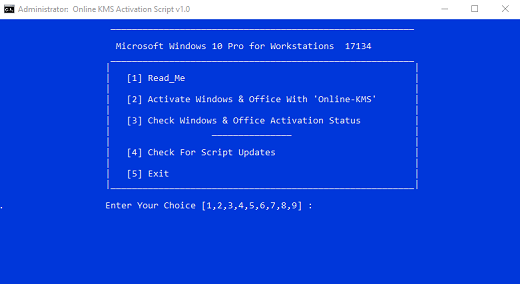 Renewal task is optimized for the better accuracy, and every renewal task run will generate logfile in C:\Windows\Online_KMS_Activation_Script also in that folder a info file will be created. Fixed a issue in creating $oem$ folder on desktop if users have changed desktop location. Read Me is merged in the script. KMS server list have been revised and top 4 servers are compatiable with any VPN. Now there is no problem for any vpn users.